Rural retreat, modern, well equipped, 3 bed 2 baths in stunning location. Now accepting travellers with pets! 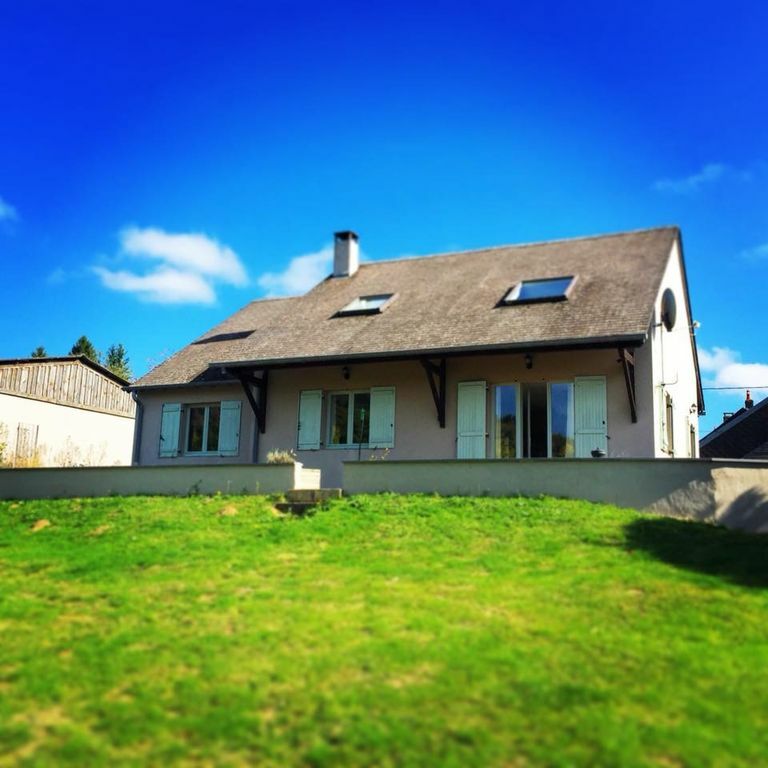 Surrounded by the Morvan National Park and spectacular woodland (which is full of official mountain bike and rambling routes) the location is ideal for walkers, hikers, mountain bikers, nature lovers or anyone just wanting to escape to a holiday home in France with beautiful views. It's also a short drive from the fabulous Lac des Settons, so is ideal for anyone who loves water sports. If you like your reds, you're in the right place. A short drive away is Beaune, Nuits St Georges, Couche, Mercurey; some of the country's best wines are right here. You can spend all week on the wine trail, tasting in 'caves' galore. You're also close to historic roman towns of Autun, Nevers and Saulieu. One hour from Chalon sur Saone and an hour and a half from Burgundy capital - Dijon. Or if you're feeling adventurous, it's just an hour and a half away from Paris on the TGV. Open plan living/dining area, bathrooms upstairs and downstairs, master bedroom upstairs and two bedrooms downstairs, one double and one twin. Games room with pool table and arcade machine, Xbox and blu ray player. Second bluray player downstairs with wall mounted tv and cinema screen. Outdoor table tennis, well equipped kitchen, huge patio area with BBQ, sun loungers, table and chairs. Guest Comments: We got back last night still carrying our perfect memories with us. We had a fantastic holiday in Varin, the house was a jewel and the location was magical. We explored the local area, the parks, the lakes, Autun and did a couple of wine trips to Beaune and the surrounding area. We had a splendid time, enjoyed the beautiful landscape and loved the quiet evenings playing pool and drinking wine in your homely kitchen. My 12 year old daughter was overjoyed to have a pool table and she spent long hours playing with my husband and our friends. Thank you for the wide choice of books, games, music, local information, it all contributed to a perfect, memorable holiday. The house is well equipped with a new washing machine, new vacuum cleaner, well equipped kitchen, two luxurious bathrooms and an acre of garden and patio. There are several dining options, inside or out, patio or bottom of the garden. The location is quiet and peaceful without being remote or inconvenient. The local village of Anost is five minutes drive or a nice 20 minute walk. It has everything you need; post office, shops, restaurants, cash machine, boulangierie, boucherie, even has a cinema, doctors and hairdressers! Bookings for no more than 4, as 6 is too many for the hot water tank of 150 litres. Hello and thank you for looking at our property. It was and still is our home, not just a rental property, but we now spend most of our time in the UK, where we live in Mickleton, North Cotswolds, just outside of Stratford upon Avon. This is due to us wanting our baby girl to see lots of family who can't necessarily join us regularly in France. So the place is now rented out most of the year. I bought the house and lived there for years, loving life in this beautiful region of France. The views sold it, as did the people. We have amazing neighbours. The place is just the right balance of peace and quiet, without being remote. The absence of streetlight pollution makes for the most amazing night skies. You can relax and do nothing, or get out and about. There's so much to see and do, from Chateaux to ancient historical sites, fun activities, woodland to explore; you're in the middle of the most amazing woods and wildlife. It's a ramblers' paradise. The woods are full of streams, berries, mushrooms, boar, deer, woodpeckers, cuckoos, you name it. The views and the tranquility are the main features. You cannot help but wind down and relax. It's a real recharge of the batteries, and there's no better place than the terrace to just sit and unwind with a superb bottle of Burgundy. Both bathrooms are lovely, new and modern. The upstairs bathroom operates on a saniflo type unit and it's very important that nothing more than toilet waste is flushed down the upstairs toilet. No hygiene products, nappy bags etc. There is an exercise bike and stepper on the landing. With arcade machine that has 100 classic games like Pacman and Donkey Kong. Get retro! In addition to the blu ray player, there is a projector and cinema screen that comes down at the press of a button, from the ceiling in the living room. A must for movie lovers. Stunning views across the valley and Morvan National Park. No air conditioning at the moment, but correct use of windows and shutters keeps the house cool even in Summer. Q. Does the house have UK television? A. Yes. SKY TV. Q. What's the minimum rental period? A. 7 nights. Saturday to Saturday. Q. How far from Calais is it? A. About six hours. 400 miles. Paris is exactly half way. Q. Are linen, laundry and towels provided? A. Yes. All will be fresh and clean on your arrival. The house is fully cleaned between each visit. Please leave it as you found it. - guter Bäcker in Anost für das tägliche Baguette ! The house is in a very quiet part of a small village. Big kitchen, living room and bedrooms. It has everything you need. The owner is very helpful and quick to response when you have a question. The terras was very nice. Although we didn't use the hot tub, it was a nice addition to the house. Thank you Leo, pleasure having you in the house and thank you for looking after it so wonderfully. Ein herrliches Plätzchen im Morvan, abgelegen und ruhig. Ein Dorf mit freundlichen Menschen in der Nähe, wo man alles finden kann, was man für den täglichen Bedarf braucht. Haus und Grundstück sehr schön und gut ausgestattet. Der Kontakt mit dem Vermieter ausgesprochen nett und unkompliziert. Thank you Adelheid and family for the review and for looking after our house. We are so pleased you had a nice visit and it was a pleasure dealing with you. The house is in department 71 - Saone et Loire. It is situated in the quaint village of Anost, and more specifically, in the small commune of Varin. Anost has everything you need for day to day life, two small shops, a boulangerie, boucherie, La Poste, a cash point machine, several restaurants and bars, a takeaway pizzeria and even a cinema. There is a golf course in Autun, along with a large swimming centre with pools both inside and outside and flumes for the children. Payment via HomeAway system preferred. A £500 returnable deposit is also taken against breakages, leaving the house in an unacceptable state etc, all taken and returned via HomeAway's own system. We don't touch your deposit unless there's an issue, which we have to file with HomeAway.